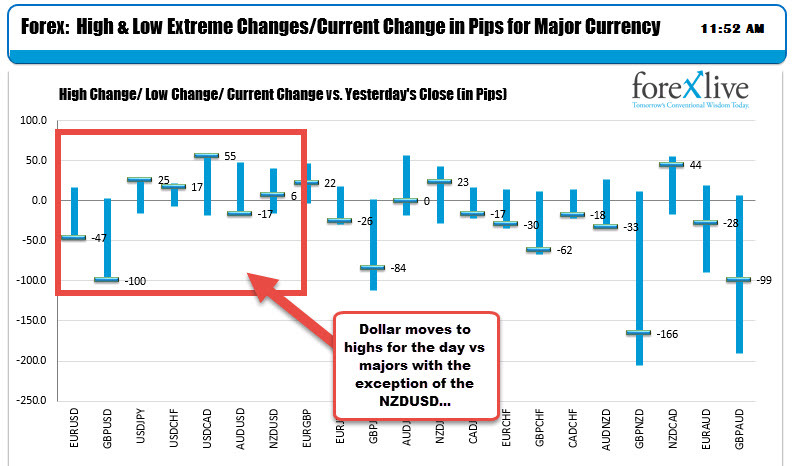 The USD has moved to new session highs on the day vs the major currencies (with the exception of the NZD). 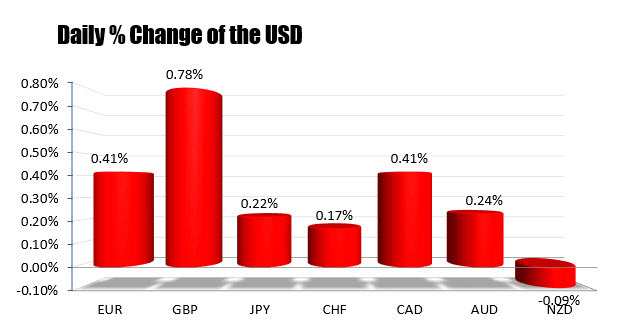 The largest mover is the GBPUSD which is lower by 100 pips or 0.78%. 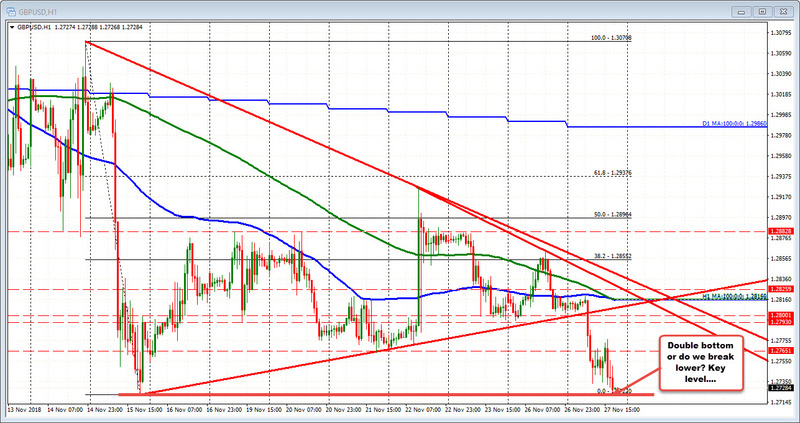 The GBPUSD has been trending lower for the day. The USDCAD is running higher (up 55 pips or 0.41%). That equals the % change in the EURUSD (down -47 pips). 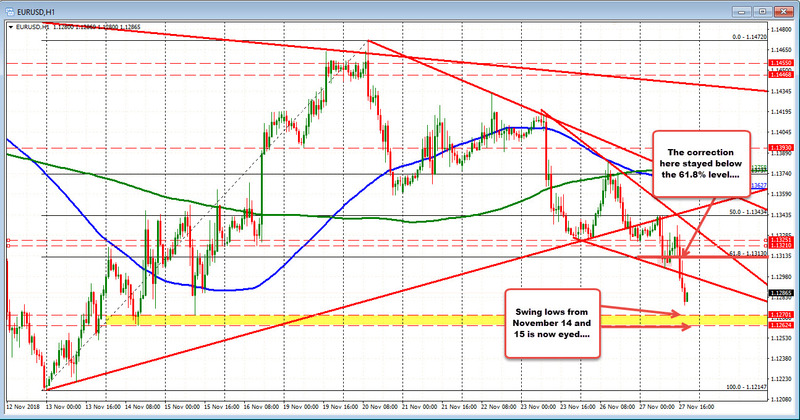 Looking at the GBPUSD the pair is testing the November 15 low at 1.2722. The low just reached 1.27244. A move below should solicit more selling on the break. Hold and we have a double bottom. For the EURUSD, the price fell below the 61.8% at 1.1313 and stayed below. The price moved below the trend line and is now approaching swing lows from November 14 and November 15th as the move higher into November 20th gets retraced.